There is increasing demand for comprehensive community healthcare that integrates community mental health and primary care services. The Canadian Mental Health Association-Durham Branch provides an example of how the Integrated Health Hub (IHH) Model evolved organically to meet this need. The Framework Method was used to analyze interviews and focus groups with 29 participants. Results reveal five key domains critical to the development of the IHH Model (1) Communication; (2) Hub ‘Nuances’; (3) Leadership; (4) Staff; and (5) Challenges. 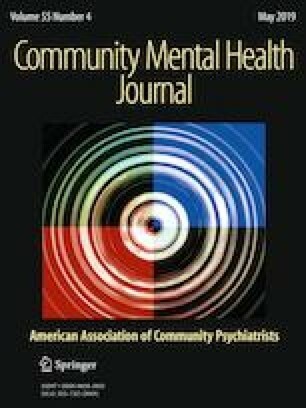 These findings provide insights for other community mental health organizations wishing to provide comprehensive integrated community healthcare services. The original version of this article was revised: Typo in co-author name has been corrected. How many years have you belonged to this organization (i.e. working, receiving services, consulting, etc.)? From your perspective, can you please describe how the programs and services at CMHA- Durham operate? What are the strengths of this approach? Who is responsible for sharing information, and how does information get shared? In your opinion, what are the main types of resources that CMHA-Durham offers? Can you give an example of this internally? Can you give an example of tis with community partners? What are the primary factors that affect and influence CMHA-Durham? In your opinion, what has been the single most major achievement of CMHA-Durham? What are the main barriers to CMHA-Durham facilitating the process of improving practice in community mental health? In your opinion, what can the organization do to help improve the work that you and your organization provide in delivering services? Delve, S. (2017). How the hub-and-spoke model transformed the transportation industry. Inbound Logistics. Retrieved May 23, 2017 from http://www.inboundlogistics.com/cms/article/how-the-hub-and-spoke-mode-transformed-the-transportation-industry/. Flexhaug, M., Noyes, S., & Phillips, R. (2012). Integrated models of primary care and mental health & substance use care in the community: Literature review and guiding document. British Columbia Ministry of Health. Retrieved from http://www.health.gov.bc.ca/library/publications/year/2012/integrated-models-lit-review.pdf. Jacobs, P., Dewa, C., Lesage, A., Vasiliadis, H. M., Escober, C., Mulvale, G., et al. (2010). The cost of mental health and substance abuse services in Canada: A report to the Mental Health Commission of Canada. Retrieved June 19, 2017, from http://www.ihe.ca/publications/the-cost-of-mental-health-and-substance-abuse-services-in-canada. Mental Health Commission of Canada. (2017). Strengthening the case for investing in Canada’s mental health system: Economic considerations. Retrieved from: http://www.mentalhealthcommission.ca/sites/default/files/2017-03/case_for_investment_eng.pdf. Multi-Sector Rural Health Hub Advisory Committee. (2015). Rural Health Hubs Framework for Ontario. Retrieved May 23, 2017 from https://www.oha.com/Documents/Rural%20Health%20Hub%20Framework%20Ontario.pdf. Press, F., Wong, S., Woods, A., Miller, M., Rivalland, C., & Sumsion, J. (2015). Independent Evaluation of the National Community Hubs Program. Wagga Wagga, NSW: Research Institute for Professional Practice, Learning and Education (RIPPLE). Retrieved May 23, 2017 from https://www.csu.edu.au/__data/assets/pdf_file/0003/1389270/Community-Hubs-Program_Final-Report_Jan2015_ISBN.pdf.